All the organizing and cleaning during the January Cure had me going through my cleaning products like wildfire. 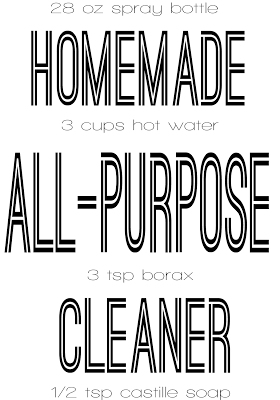 Luckily I make my own all-natural homemade cleaners which are healthy and inexpensive. I've already shared my recipes for liquid laundry detergent, powdered laundry detergent and lavender room spray. In addition to those great cleaners, I also use an all-purpose spray to get all my surfaces sparkling clean. Like all cleaners - you can add essential oils to give your home a fragrant boost. Mix all together in the spray bottle then shake what ya mama gave ya. This cleaner is safe on all surfaces and works great. I used it on some tough stains (FYI: coffee and unsealed grout Do.Not.Mix.) Not to mention, it smells great! 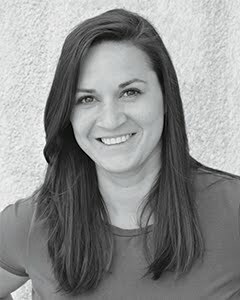 So are you a loyal commercial brand cleaner or have you dabbled in some homemade versions? What's your favorite? 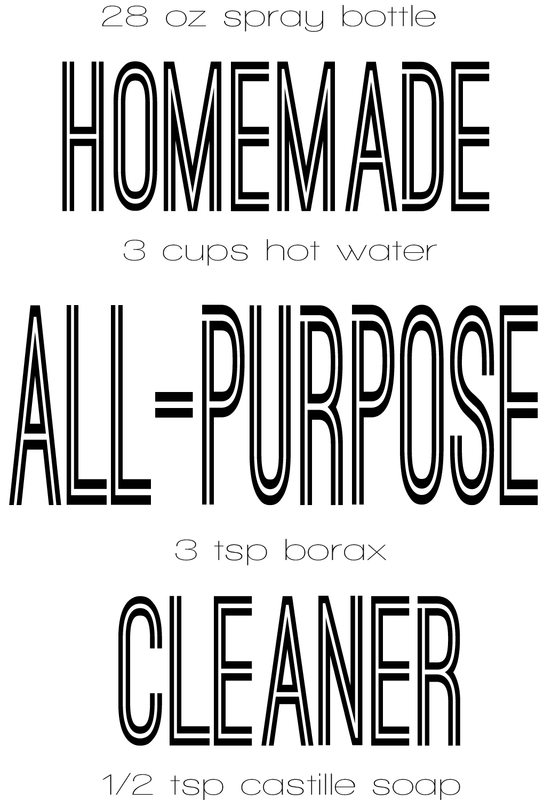 Love the homemade laundry soap! Going to try this out next. Where do you find the castille soap at the store? Me too! I just ran out of the laundry soap so I get to make some more. I can't believe how long it lasted! I found the castille soap in the health food/organic section at the grocery store (Fred Meyers) with all the other shower/soap products.